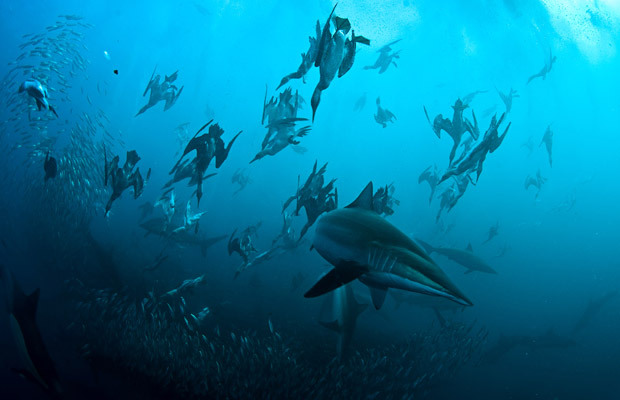 The Sardine Run takes place during June & July in Port St Johns, South Africa. 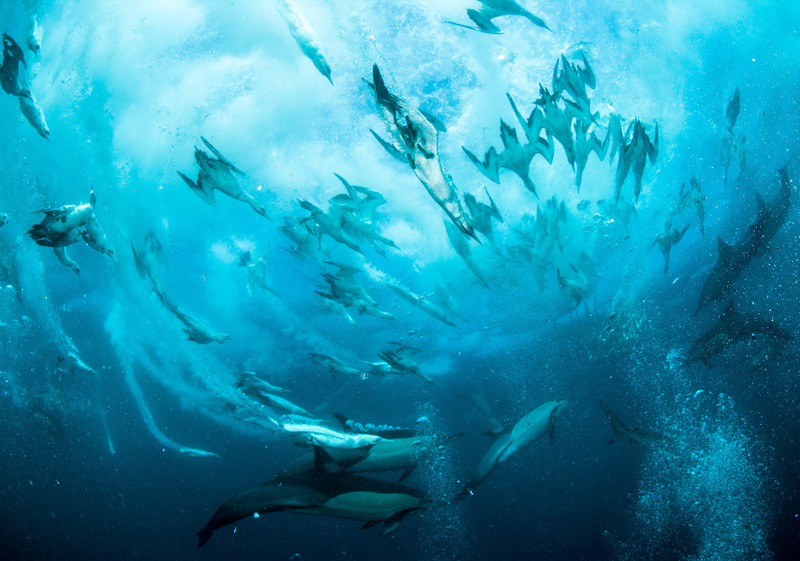 The Sardine Run action is amazing and you are often surrounded by hundreds of dolphin, sharks, diving birds, whales, game fish, seals and of course millions of sardines that make the Sardine Run one of natures most awesome events. 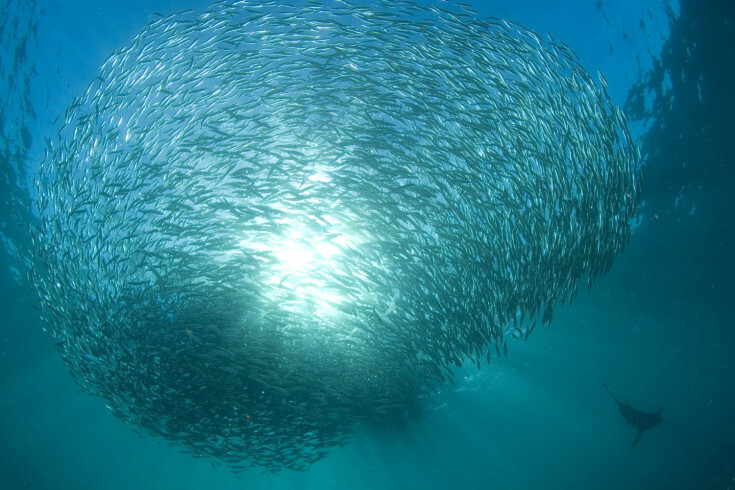 Each morning ScubaAddicts receive updates about the Sardine Run action and movements before deciding where to dive. 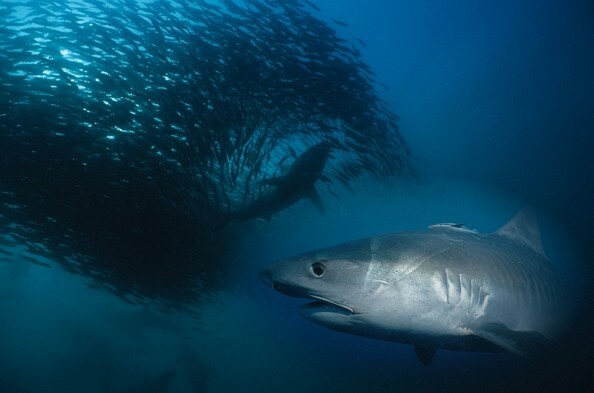 They launch from Port St. Johns and operate north and south depending on where the sardine run action is. 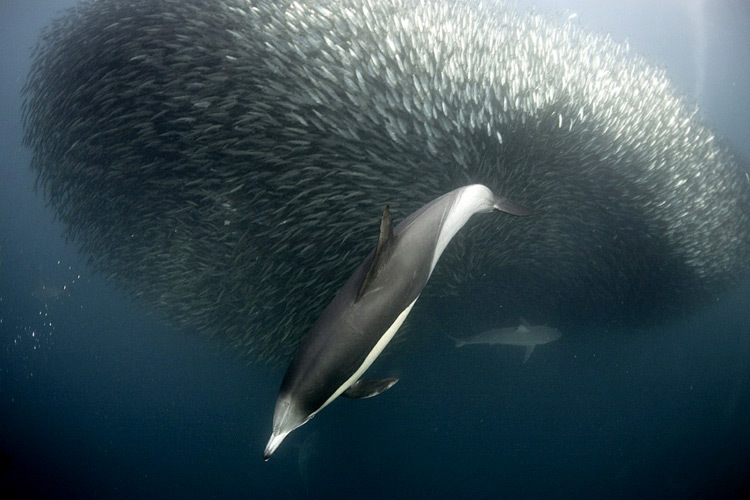 The days are ruled by nature, they spend most of the day at sea, following the action as the dolphin work together to separate the sardines into bait balls. The birds, dolphin, sharks, whales all enjoying a huge feast. The noise of the diving gannets, the speed of the dolphin, the sharks and the whales coming in to join the feast is amazing. You will experience the action from the boat and in the water. We enter the water as many times as possible during the day, sometimes just on snorkel and other times on scuba, depending on how fast the action is moving and how comfortable the animals are as sometimes the bubbles from scuba diving chases the action away. Whilst all this is going on, the humpback whale migration passes the same area, so you are treated to awesome breaches as hundreds of Humpback Whales travel north on their annual migration. 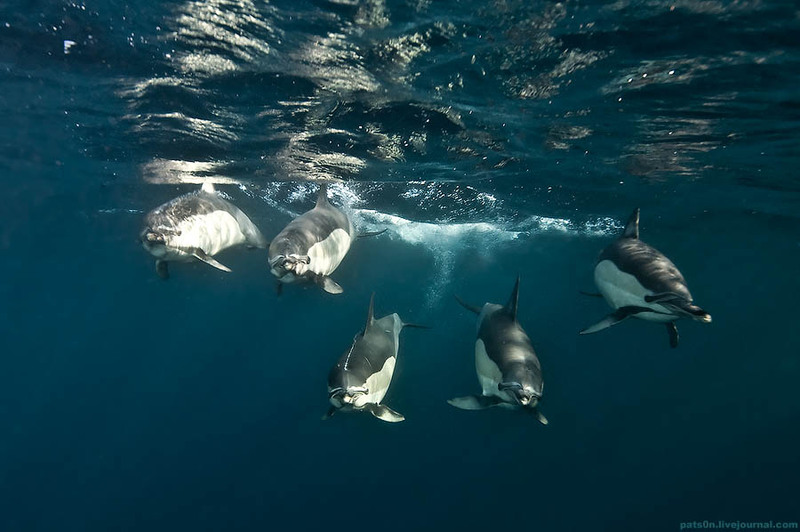 The action is amazing and you are often surrounded by hundreds of dolphin, sharks, diving birds, whales, game fish, seals and of course millions of sardines that make this one of natures most awesome events. Bryde’s Whales, Humpback Whales, Common Dolphin, Bottlenose Dolphin, Bronze Whaler Sharks, Dusky Sharks, Oceanic Blacktip sharks, Game Fish [sailfish, tuna etc. ], Seals, Cape Gannetts, Albatros & much more all congregate in a feeding frenzy. 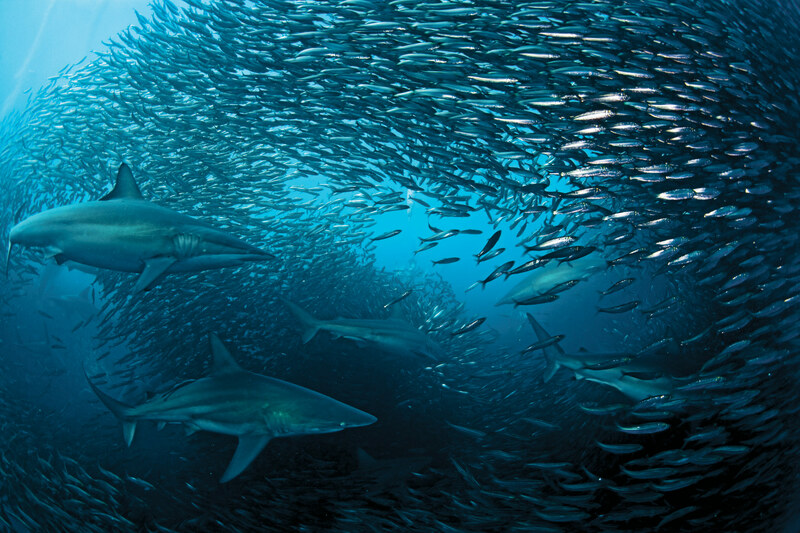 Many dive operators offer Sardine Run packages at the Aliwal Shoal, Protea Banks and many other dive sites in South Africa with the offer of regular diving when the Sardine Run doesn’t arrive. Whilst this is an easy option, it’s not fair to divers who travel from far to see the Sardine Run, it’s not reliable and it’s the main reason people think the Sardine Run doesn’t happen each year. ScubaAddicts move their dive center to Cremorne Estate, Port St. Johns rated as one of the best diving sites for the Sardine Run. Plenty of action above the surface too. You meet at 7am for breakfast and ScubaAddicts receive updates about the sardine run action and the days conditions so they can decide where the best diving will be. Once breakfast is finished, you kit up for the days action. The ScubaAddicts dive team are there to help you with all your diving needs and to brief you on your days diving and the action you are likely to see. For many this is the greatest show on earth. They launch from the Umzimvubu River in Port St. Johns and operate north and south depending on where the sardine run action is. They will spend most of the day at sea, launching at about 8am and generally they are back by about 3 pm. ScubaAddicts limit their boats to a maximum of 8-divers to ensure it’s quick to kit-up and get into the water. They can also carry extra fuel so you can always travel to the Sardine Run bait-ball action. The day is ruled by the Sardine Run action, they will follow the dolphin as they work together to separate the bait balls and then the action begins, the dolphin, birds, sharks, whales all enjoying a huge feast.The noise of the diving gannets is amazing as they surround the boat, diving for the sardines. You enter the water many times during the day, sometimes just on snorkel and other times on scuba, it really depends on how fast the action is moving. 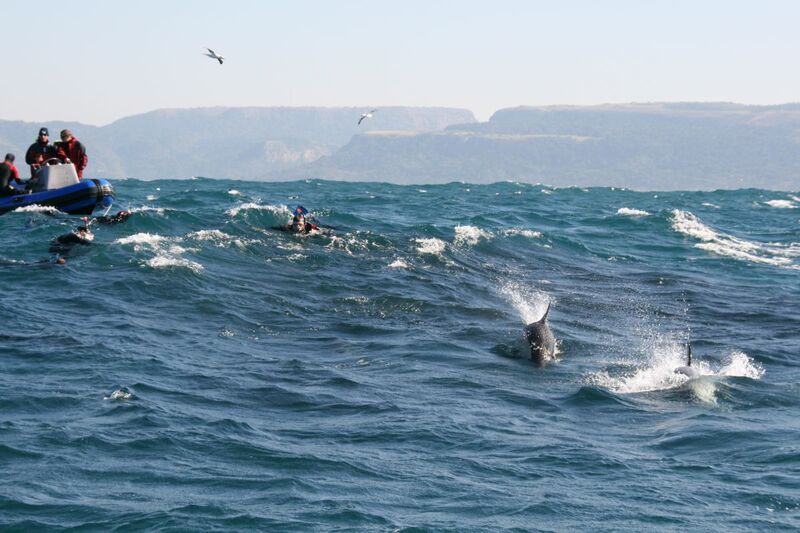 The action is amazing and you are often surrounded by hundreds of dolphin, sharks, diving birds, whales and more. 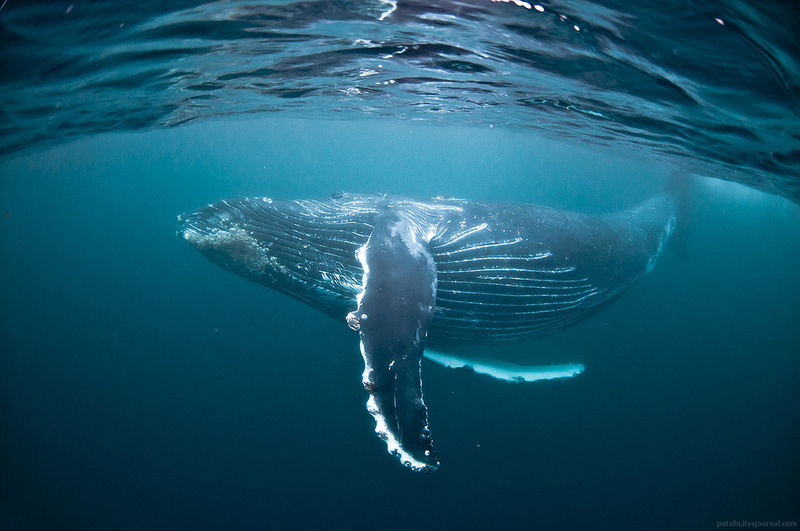 You also have many opportunities to watch the humpback whales on their annual migration. Common and Bottlenose Dolphins can be seen. In the late afternoon they return to the lodge, where you can choose to relax, download photos & video footage or you can opt to go sightseeing in the afternoon. ScubaAddicts are always available to take you on local excursions to show you more of the area. In the evening you will enjoy dinner at the restaurant. If you are not completely tired by your days diving and sight seeing, then you can have a drink at the bar, watch TV [Satellite]. After all this you retire to your bedroom with en-suite facilities to enjoy a relaxing nights sleep, ready for the next days diving. Wetsuits : Most divers seem to favour 5-mm wetsuits year-round, if you feel the cold then gloves and a hoodie are a good idea. They do have shortie wetsuits that you can add to your wetsuit if you are cold. Cylinders : We use 12-liter steel cylinders which are available as A-clamp [international] or DIN so will suit all divers. Gear Hire : Dive gear is available for rent so you don’t need to bring your own gear. Once we have your booking, you can just let us know what dive gear you will need. Mornings are faily cold but the general daytime temperatures are calm and warm. Occasionally they experience winter storms which can make it fairly cold and wet with rain. Generally the weather is warm and dry. Sea conditions are generally calm. 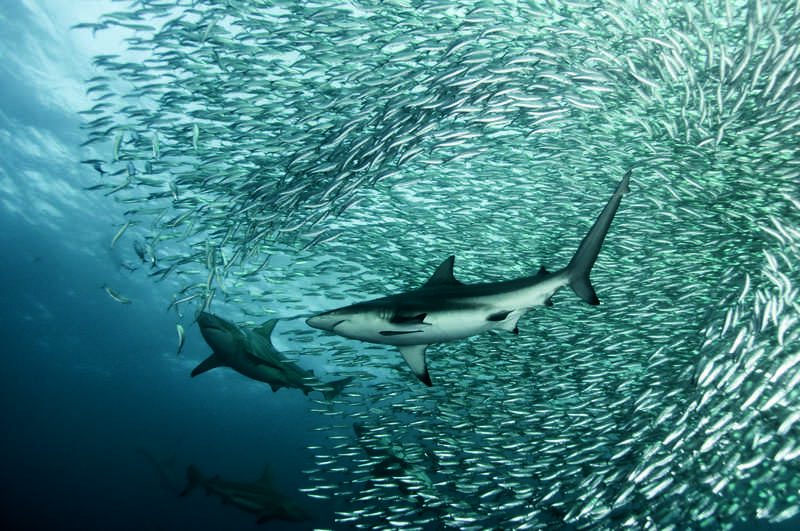 ScubaAddicts have an exclusive deal with Cremorne Estate, rated as the ‘Best Sardine Run Accommodation’ in Port St. Johns, South Africa and are the only dive operator based at Cremorne during the Sardine Run! 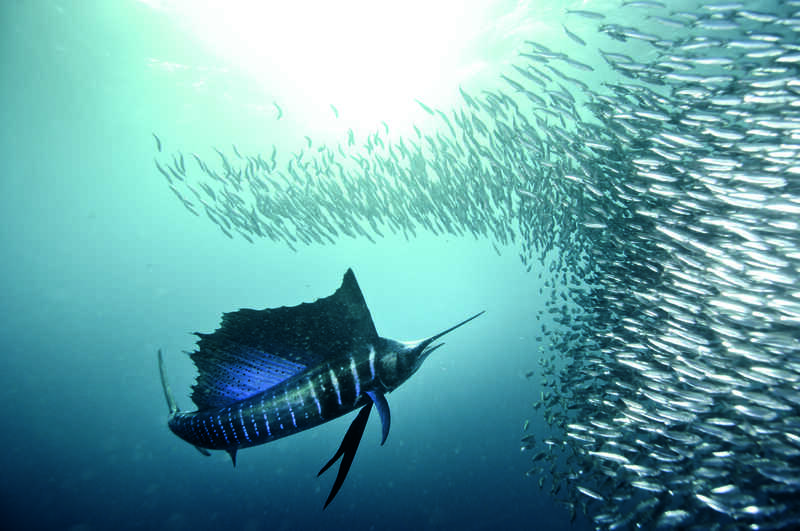 The first night night of your Sardine Run package is spent at ScubaAddicts Lodge & Dive Centre. This is to ensure they can transfer to Cremorne Estate in Port St. Johns during daylight as the roads are not that good and the animals makes it unsafe to drive at night. On the morning of day two you have two dives on the Aliwal Shoal before you transfer south to Cremorne Estate in Port St. Johns. 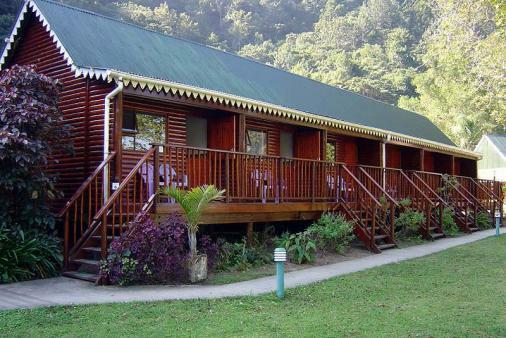 The next six nights are spent at Cremorne in Port St. Johns. 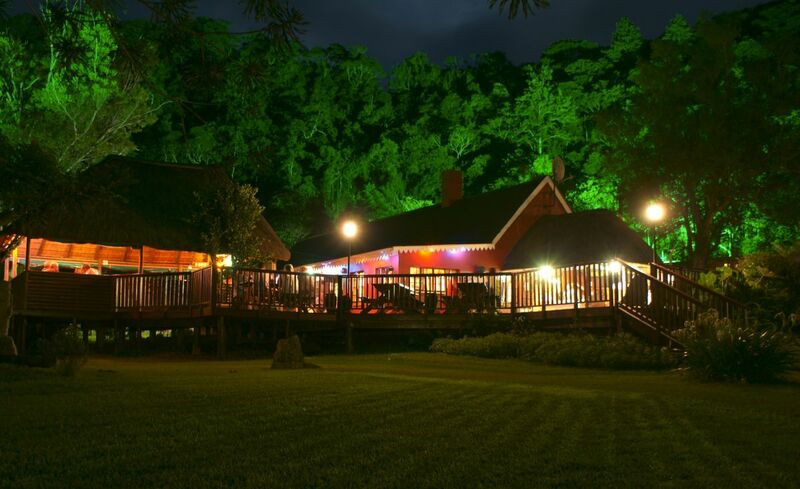 The accommodation is on a bed & breakfast basis, lunch and dinner is available at the lodge which has a fantastic bar area and restaurant, ideal for chilling-out after the days diving the Sardine Run. 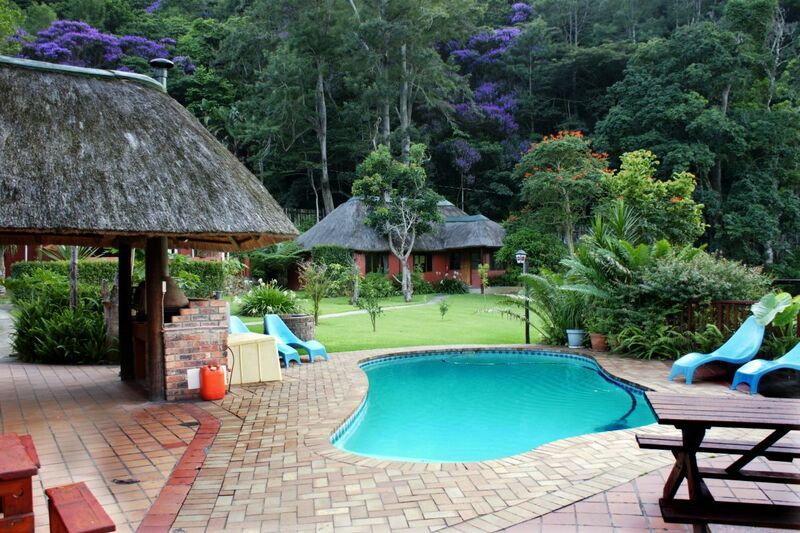 Situated on the Umzimvubu River, Cremorne Estate has fantastic views with direct access to the river. Each day ScubaAddicts launch the boats in-front of the accommodation from the dive center so there is no daily travelling to the launch site – roll out of bed, kit-up and dive the sardine run. 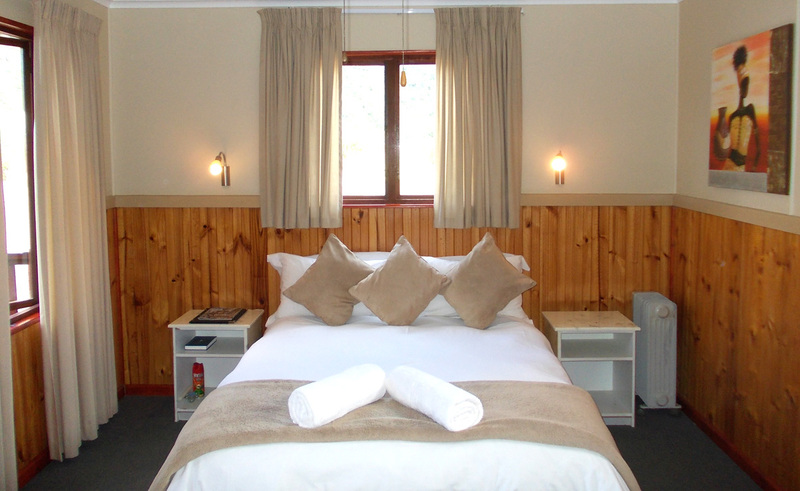 All rooms overlook the river and are available as single rooms, twin rooms or double rooms which all have en-suite bathroom [with showers] & Private Balconies. Each morning breakfast is served on a deck over-looking the river. 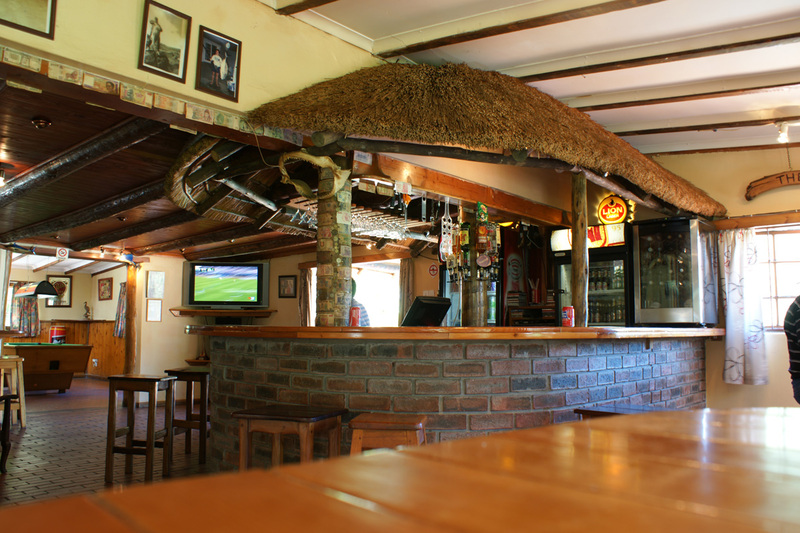 After the diving enjoy some fantastic walks, visit some local attractions or relax in the awesome bar area. The resort has a swimming pool, B.B.Q. Area, Restaurant, Bar Area, Television, Laundry Service. Rooms are serviced daily. The package is fully guided and includes, airport transfers, local transportation during your stay, accommodation [including breakfast], diving [as per itinerary above], cylinders, air, weight belts, weights & diver permits. Photography credits: Alexander Safonov & Thomas Peschak. Some other photos photographer unknown.